The proper work of any personal lift is quaranted by relevant application of the cabin and sensible of lift control system. That is why we specialize in upgrading existing lifts in the old house in the exchange of the steering boards, cassettes, cab repair. 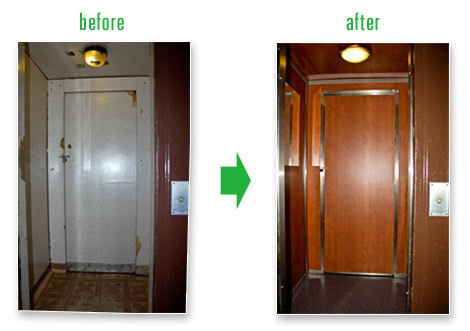 With a little effort you can improve safety, increase comfort of use and meet the requirements of Technical Inspection and the new legislation targeting improve the safety of old lifts. This allows a phased implementation of the modernization of old elevators for the new date using the financial capacity of the crane owners.